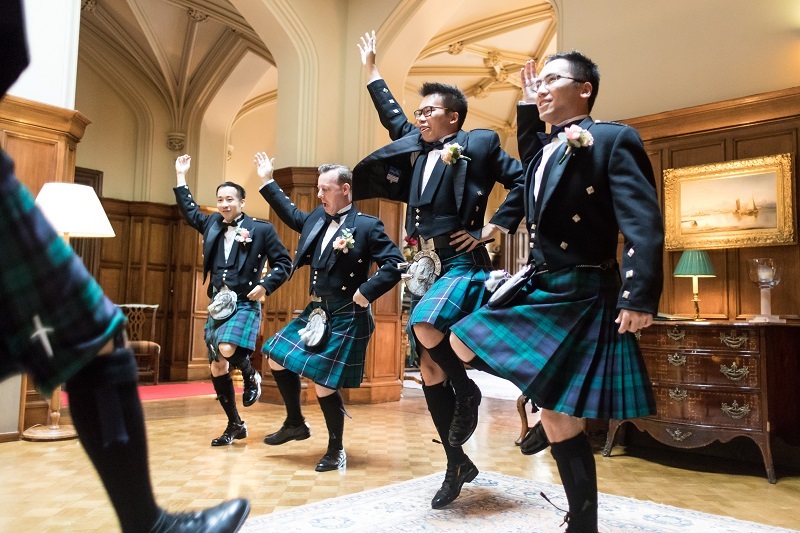 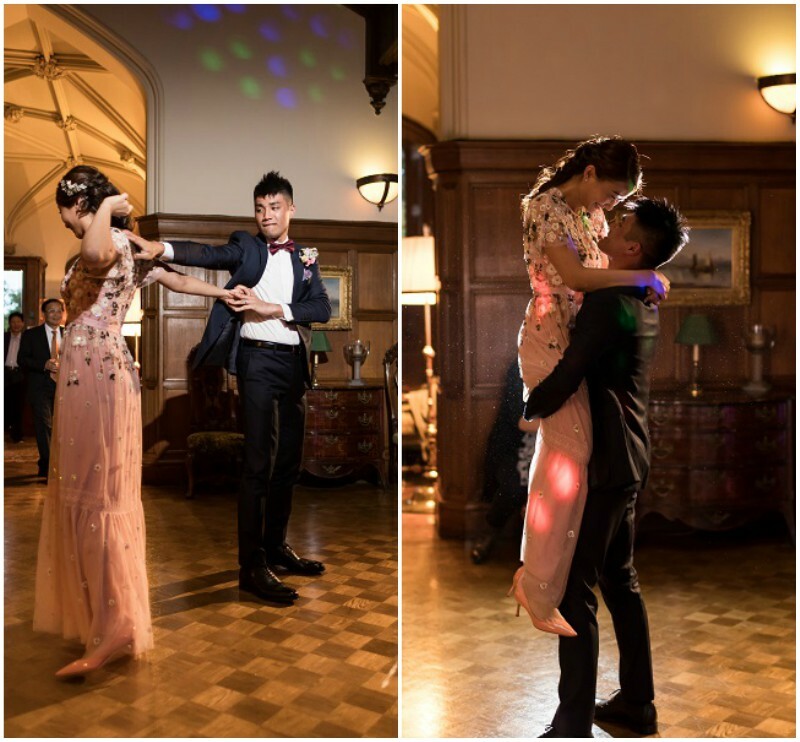 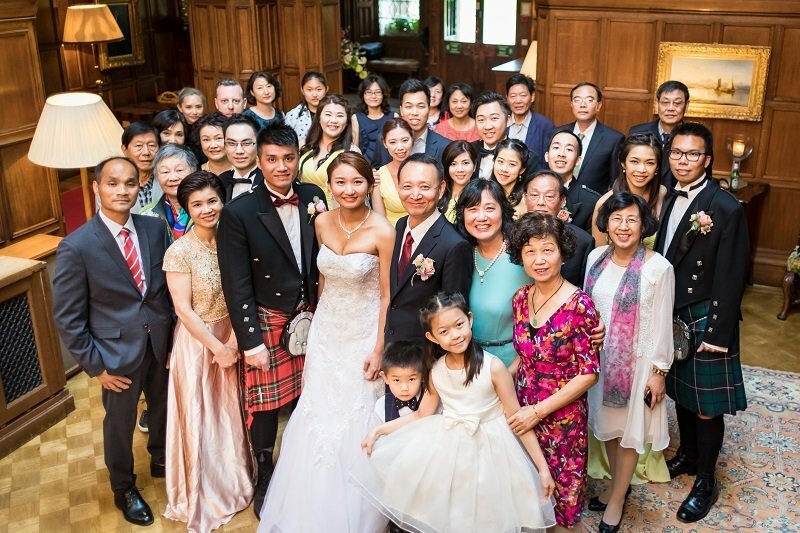 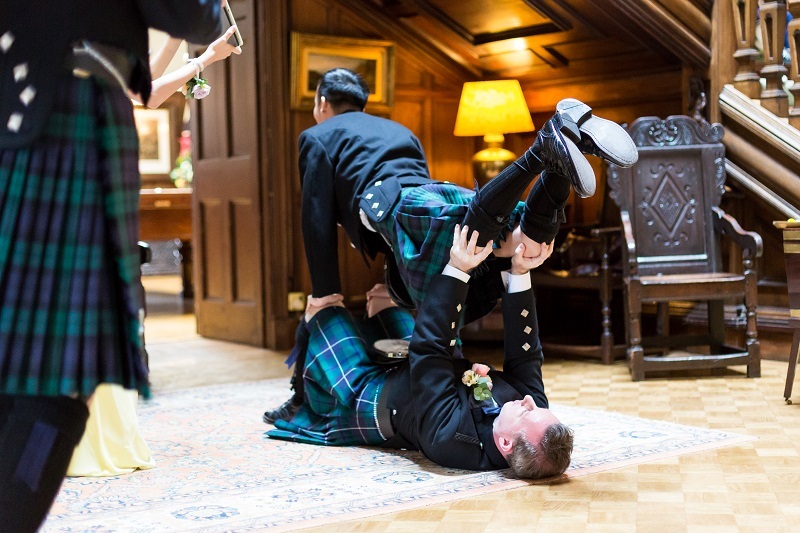 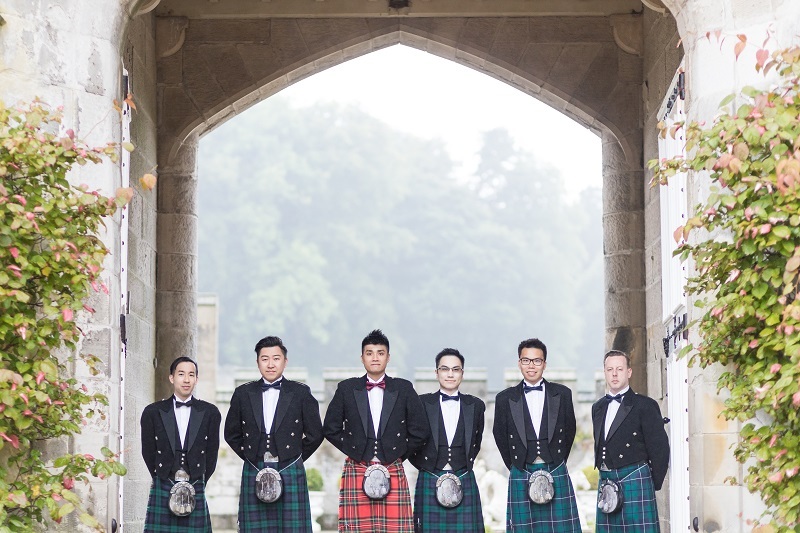 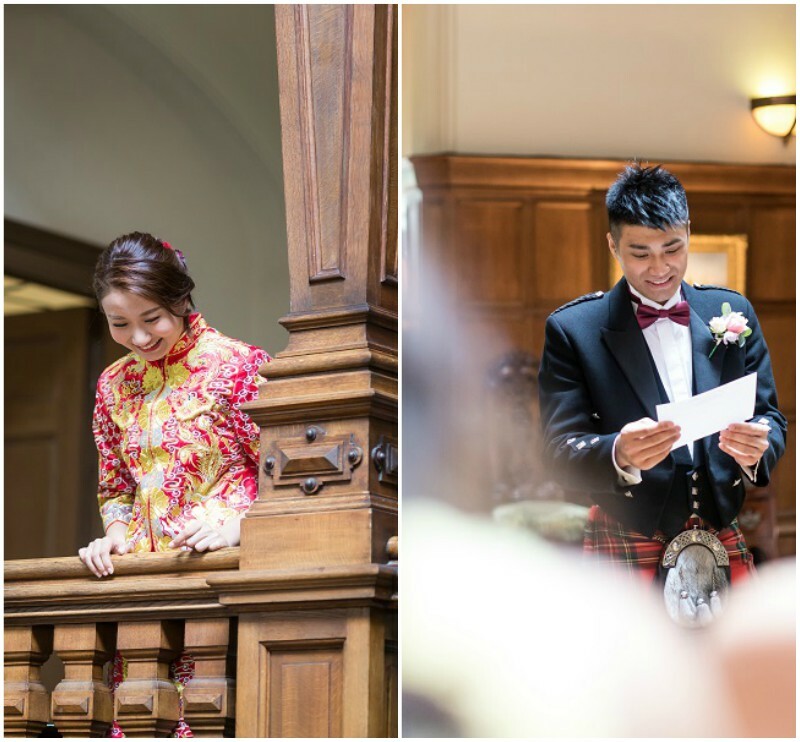 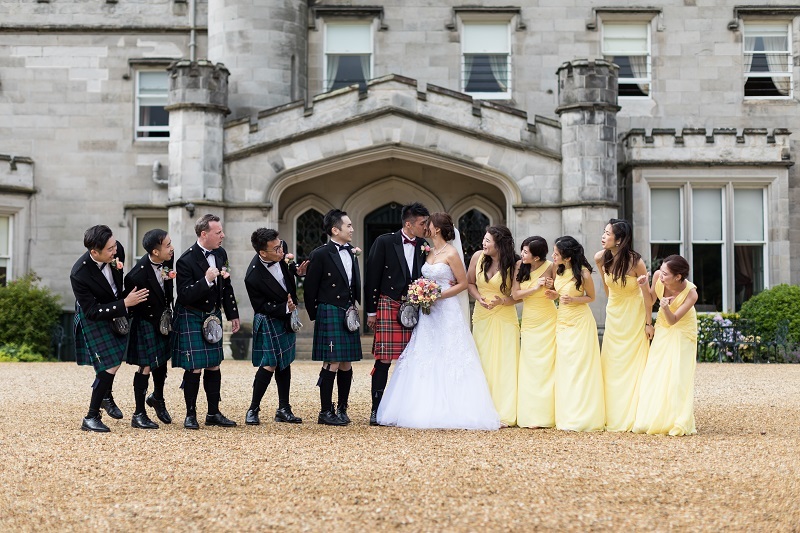 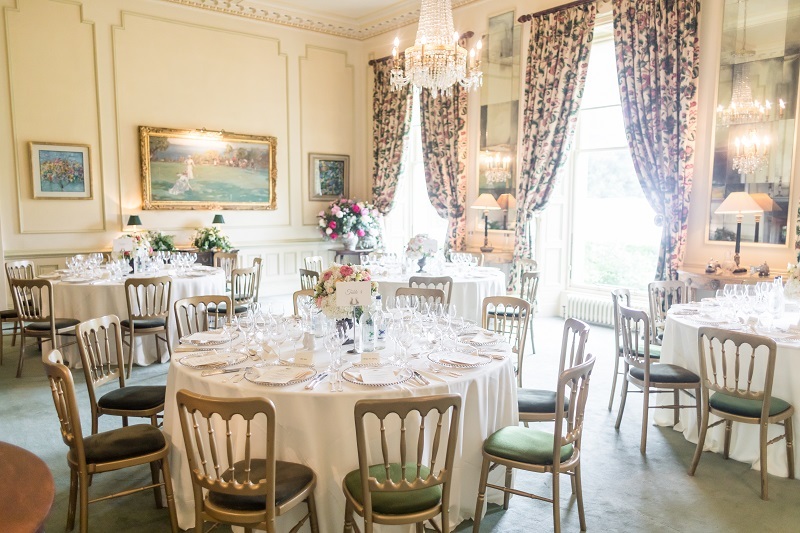 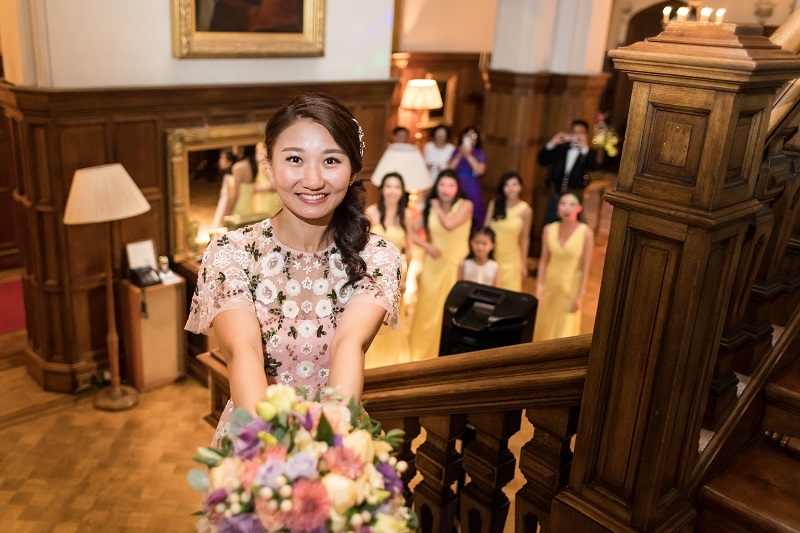 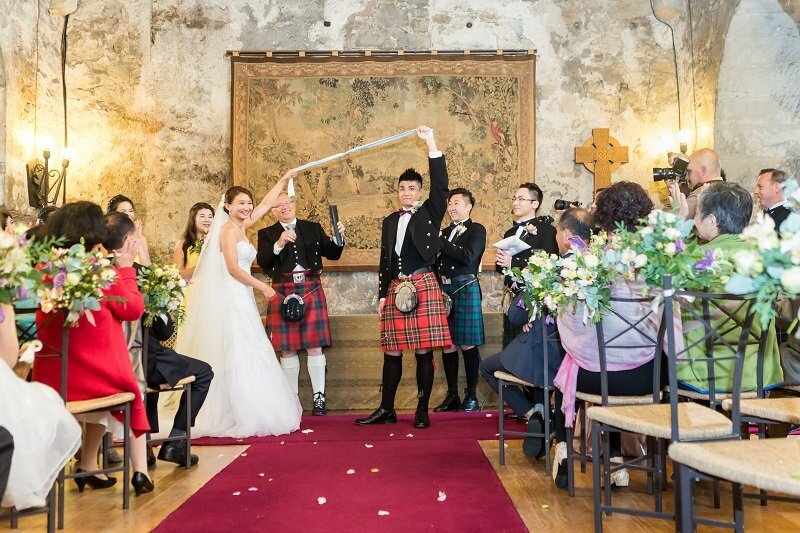 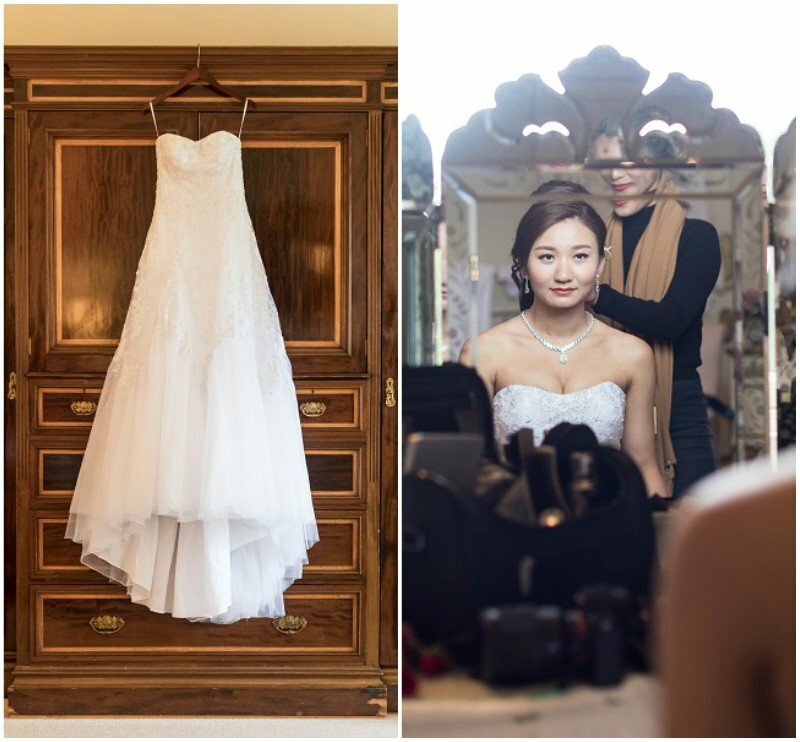 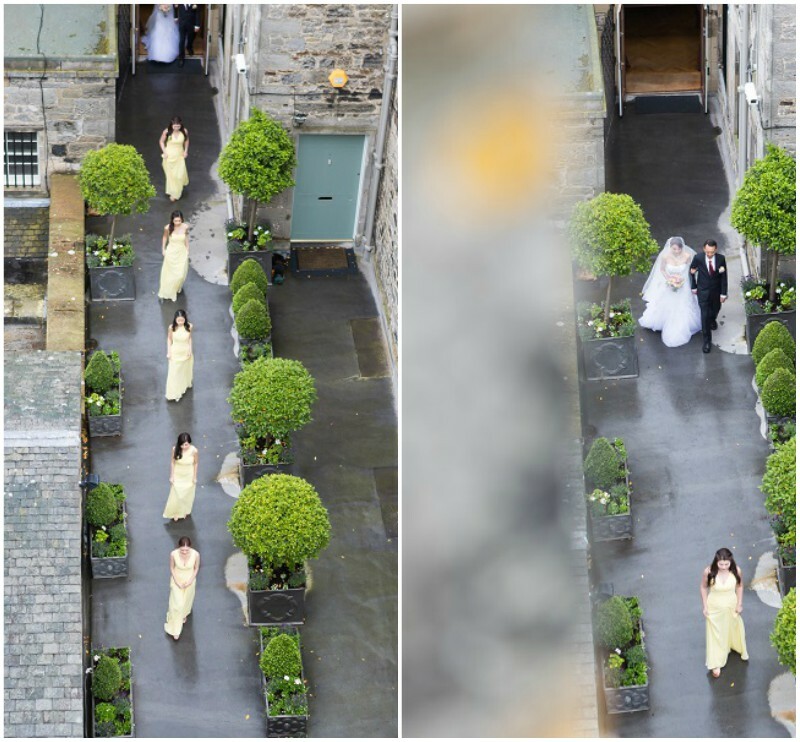 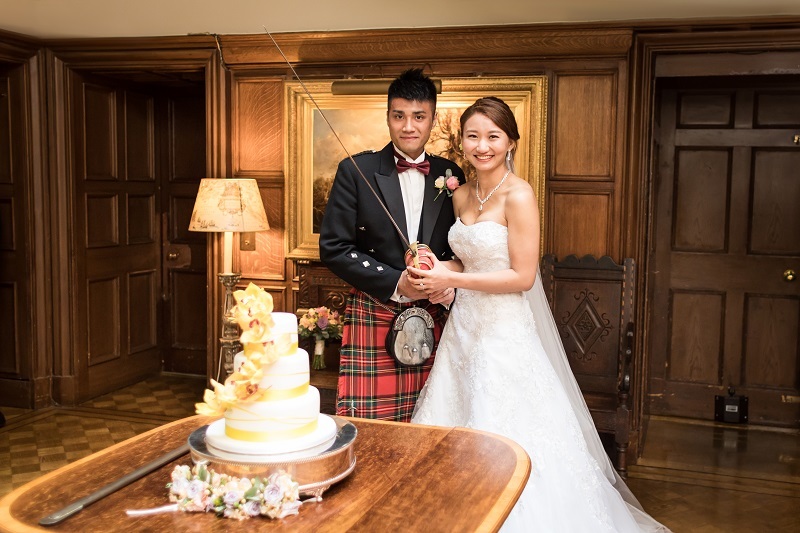 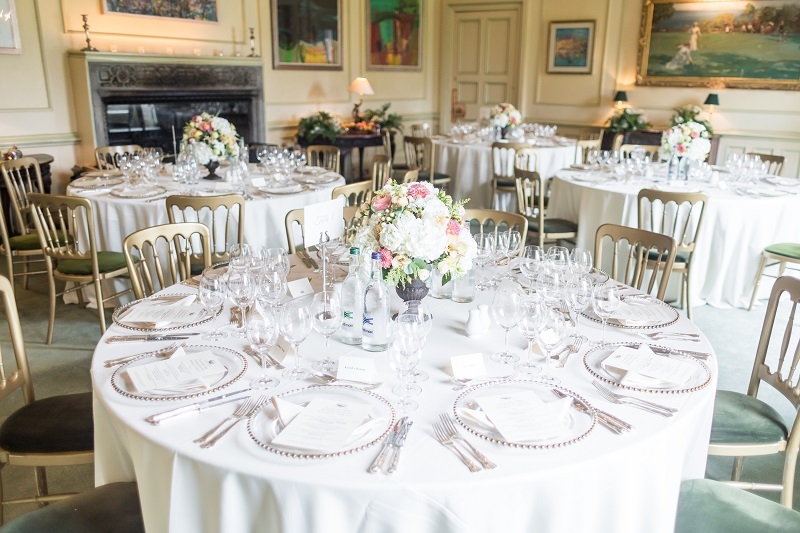 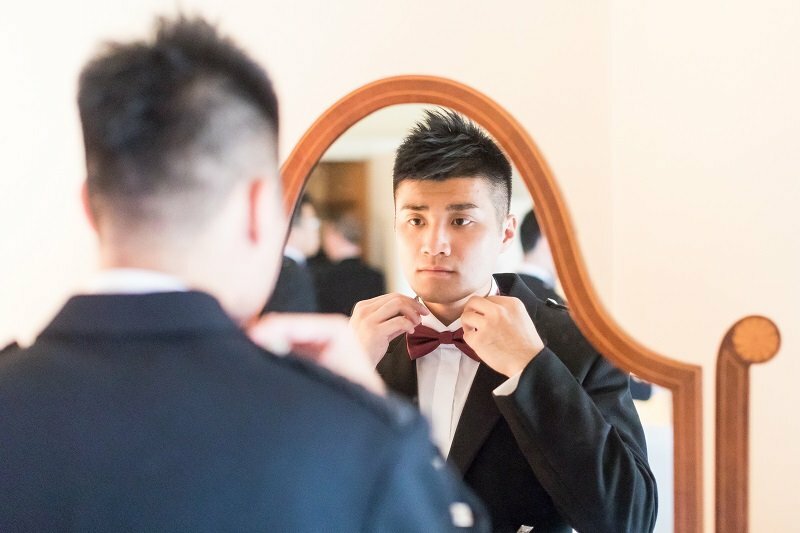 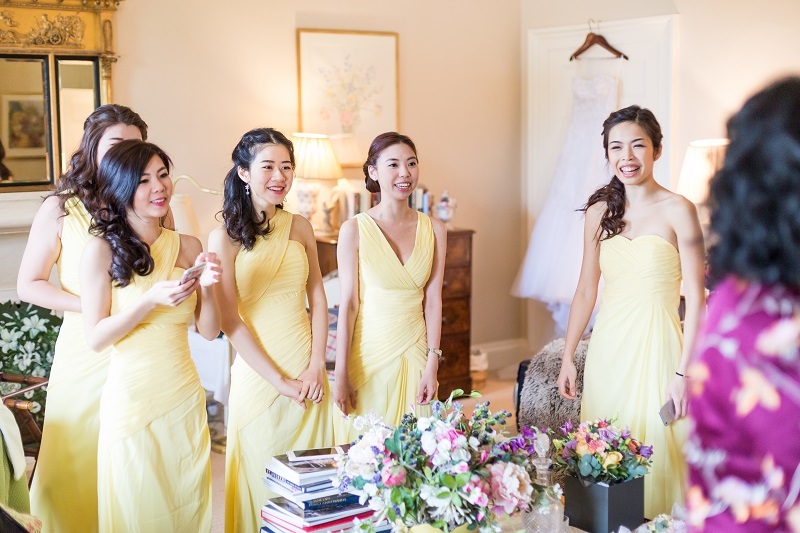 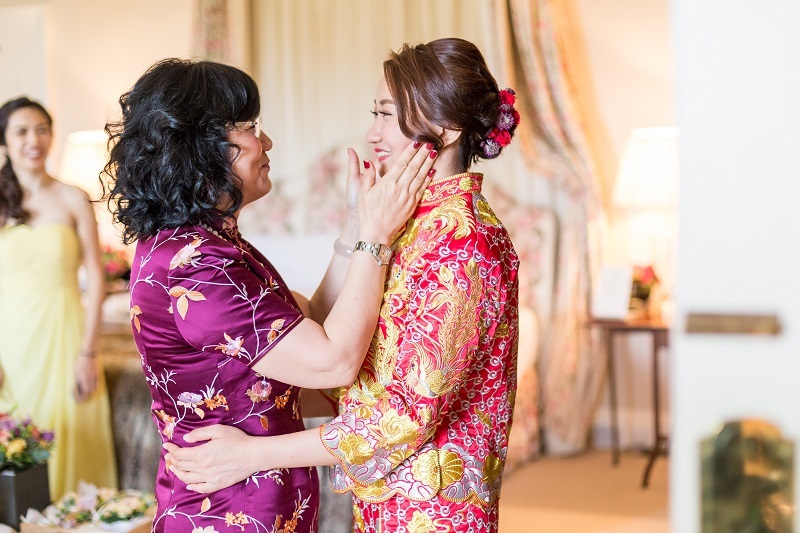 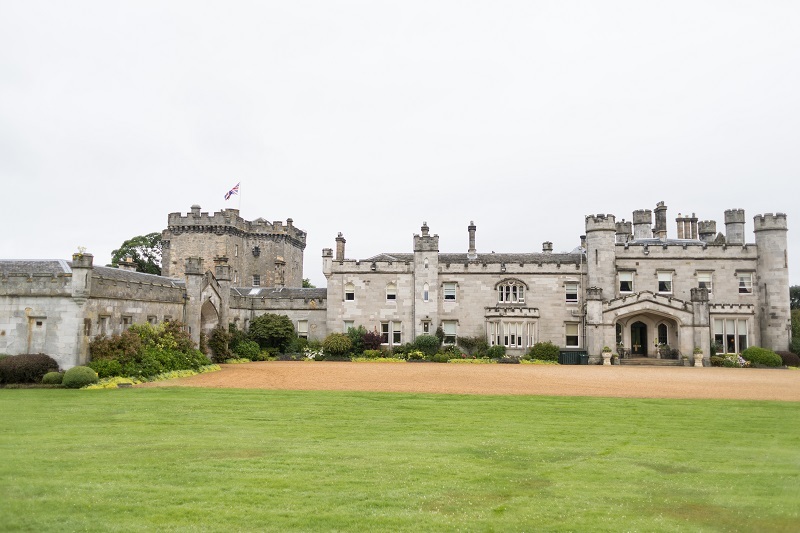 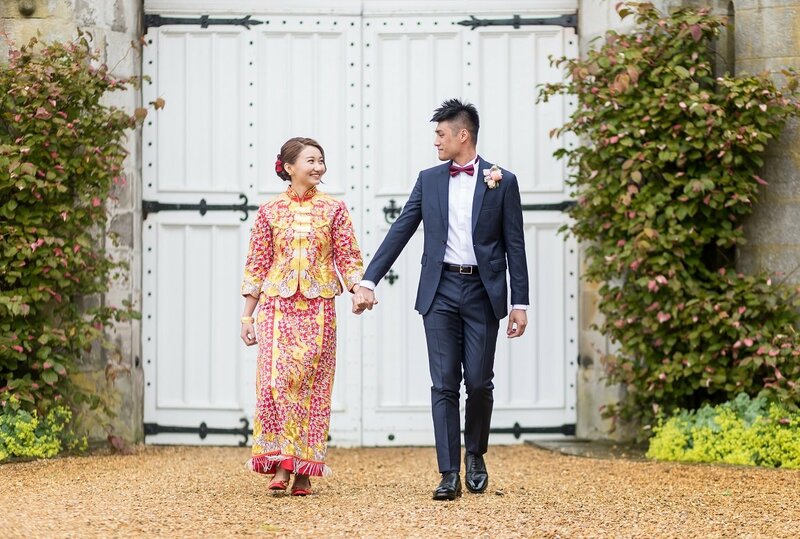 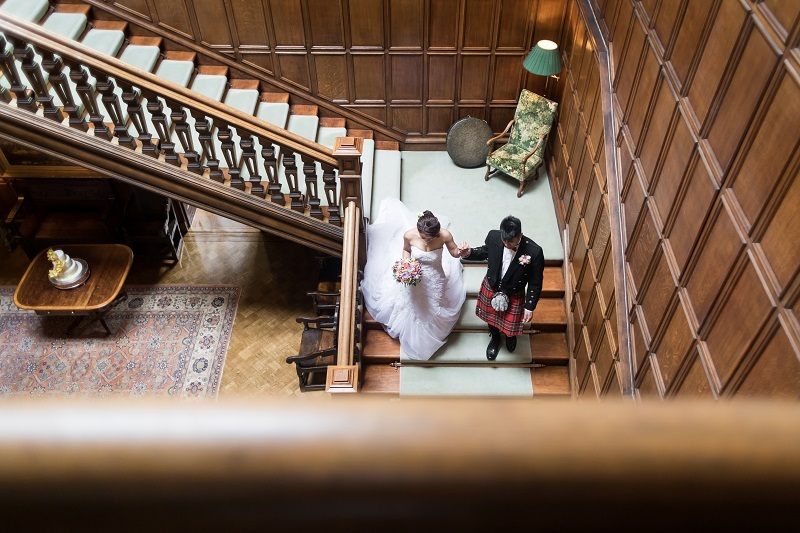 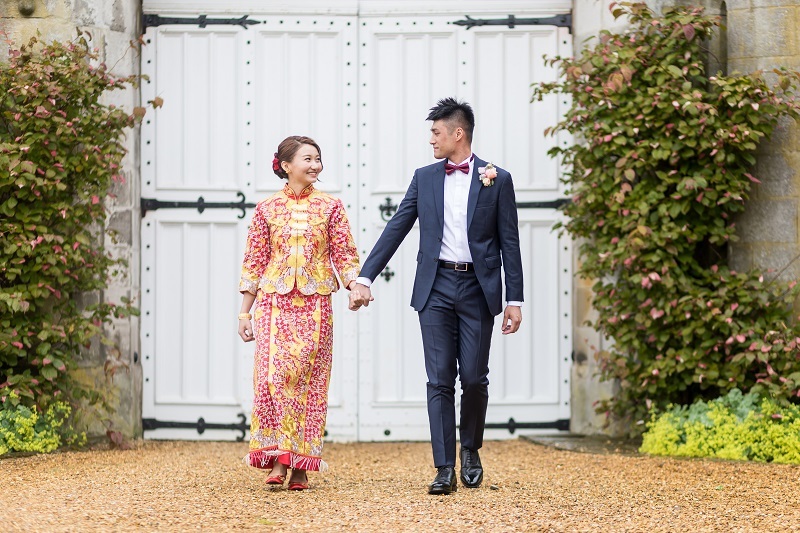 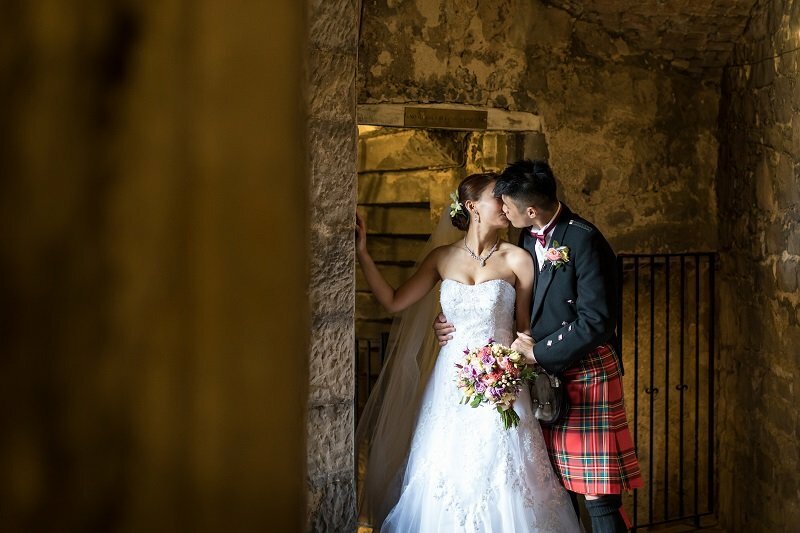 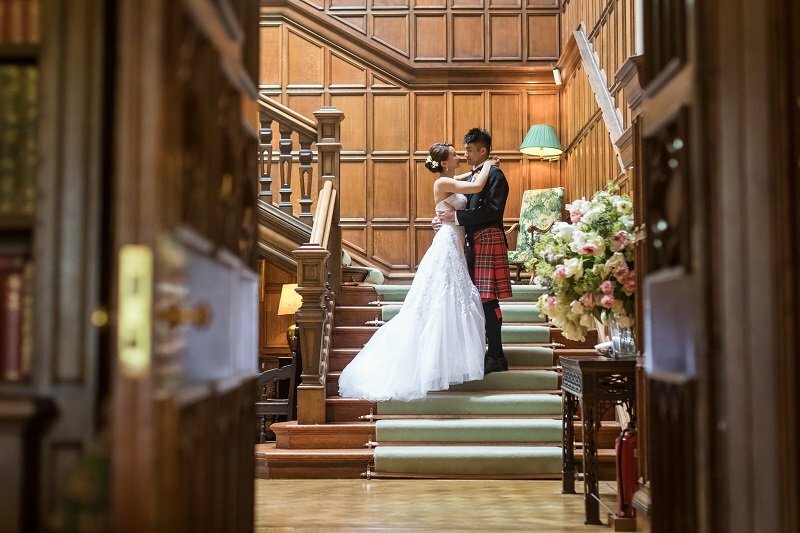 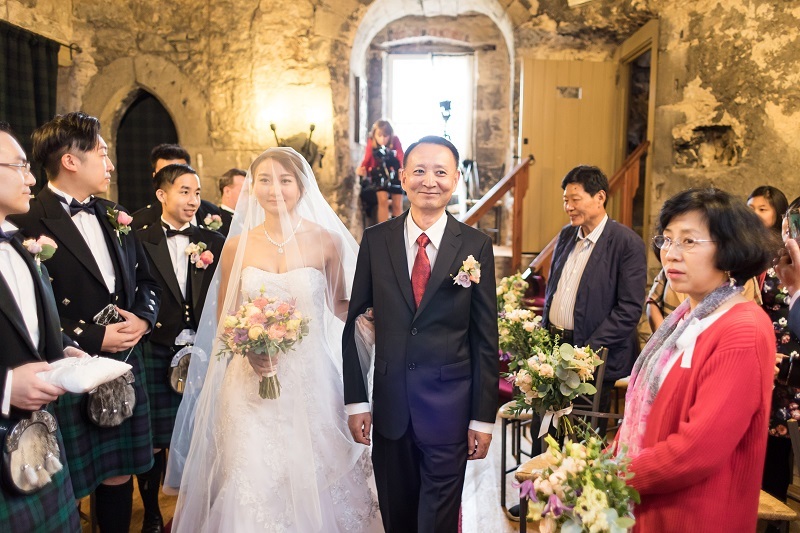 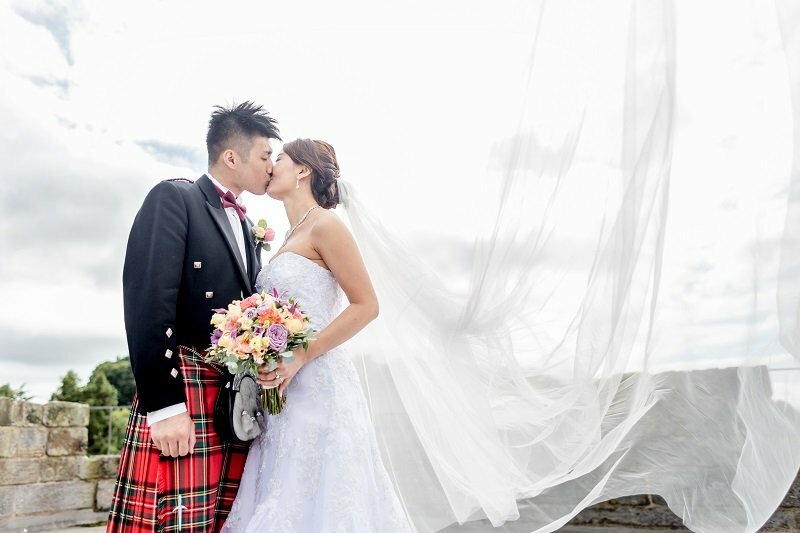 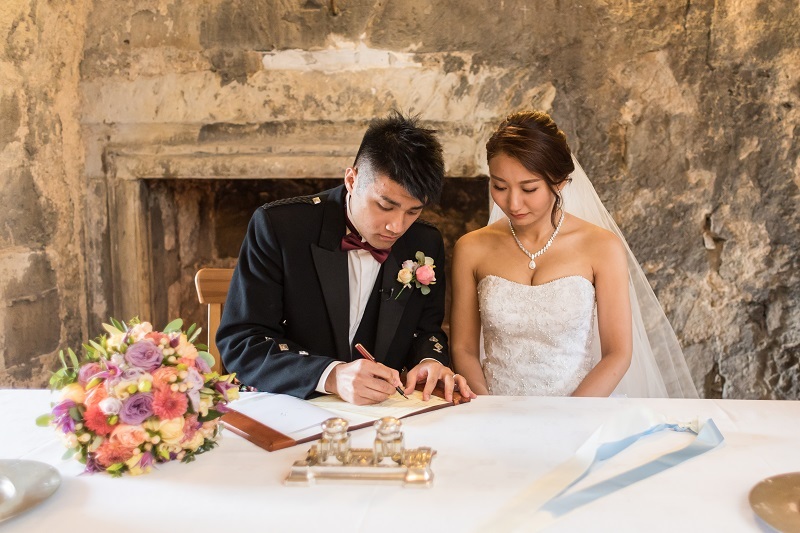 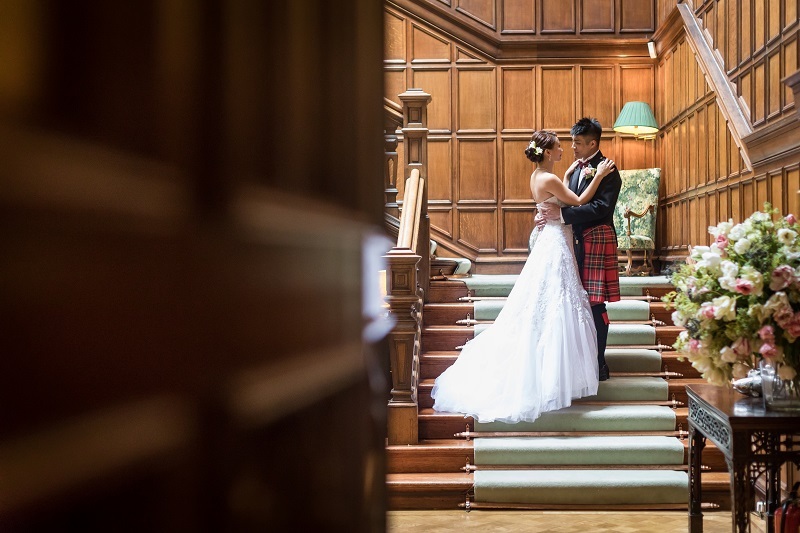 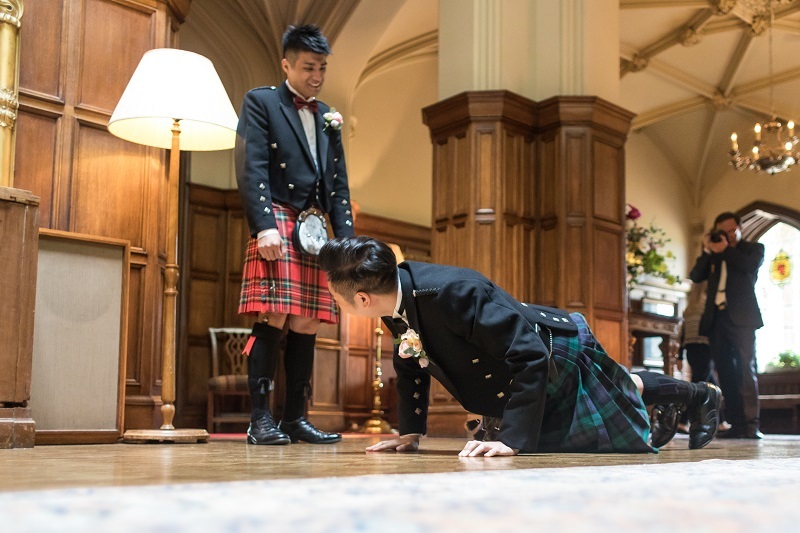 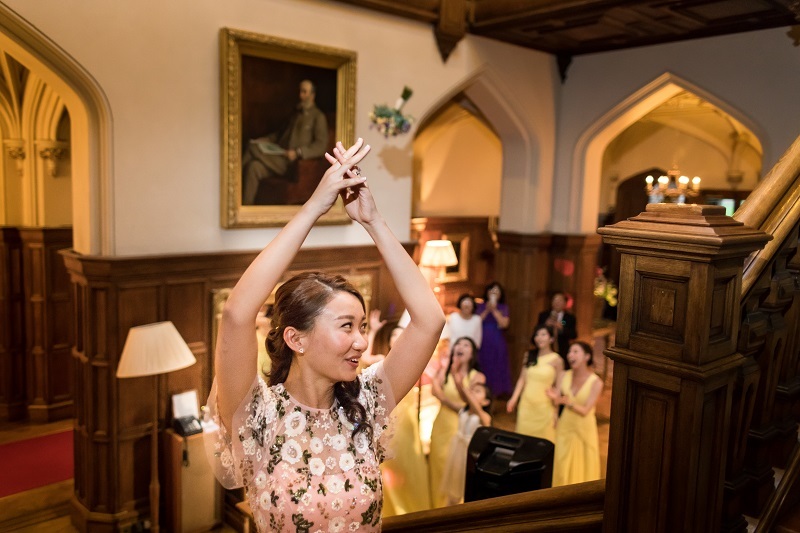 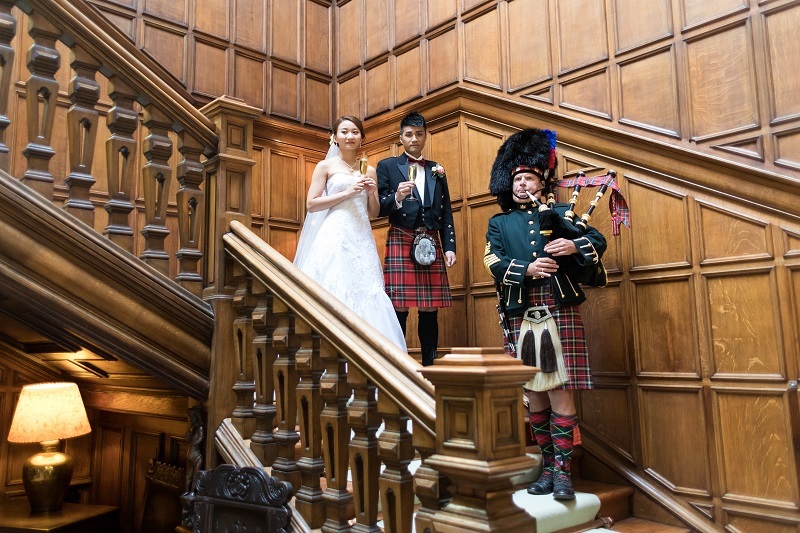 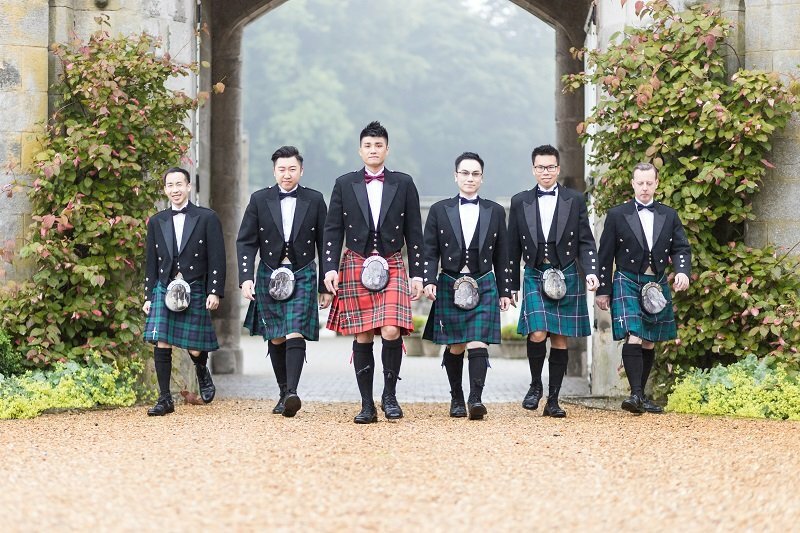 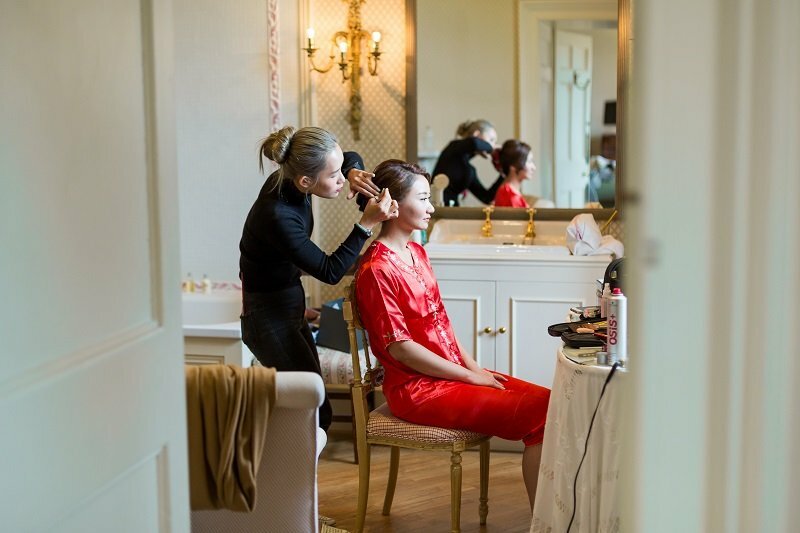 Jacey and Ching set their hearts on a Scottish Castle wedding, and they arranged their day to ensure they made the most of it! 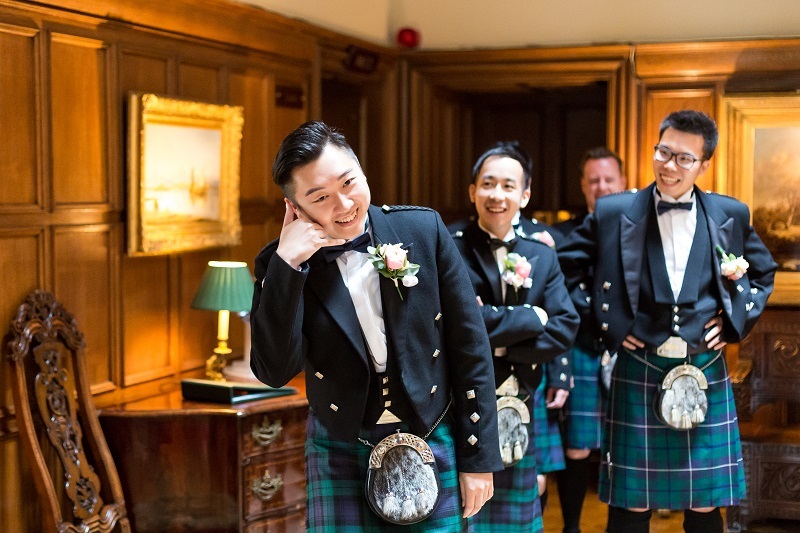 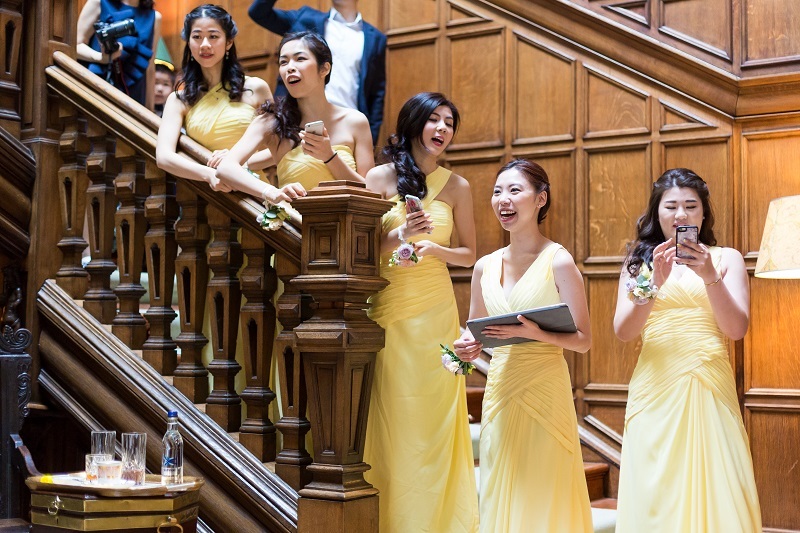 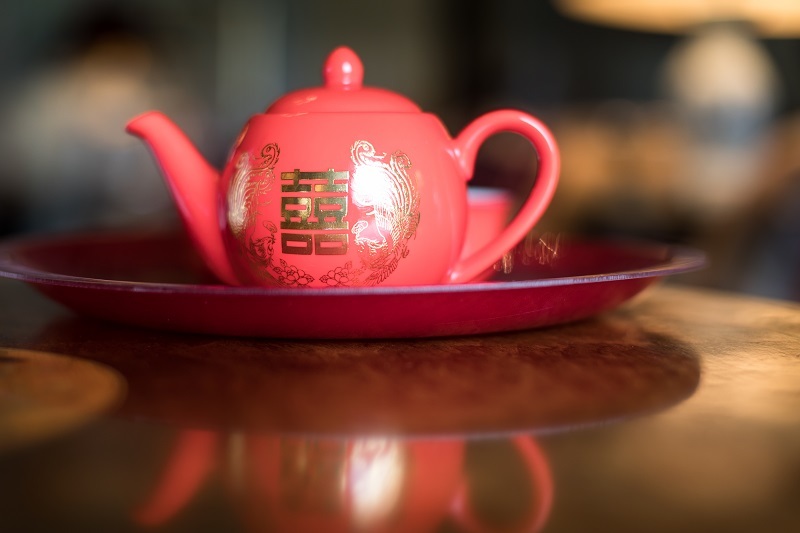 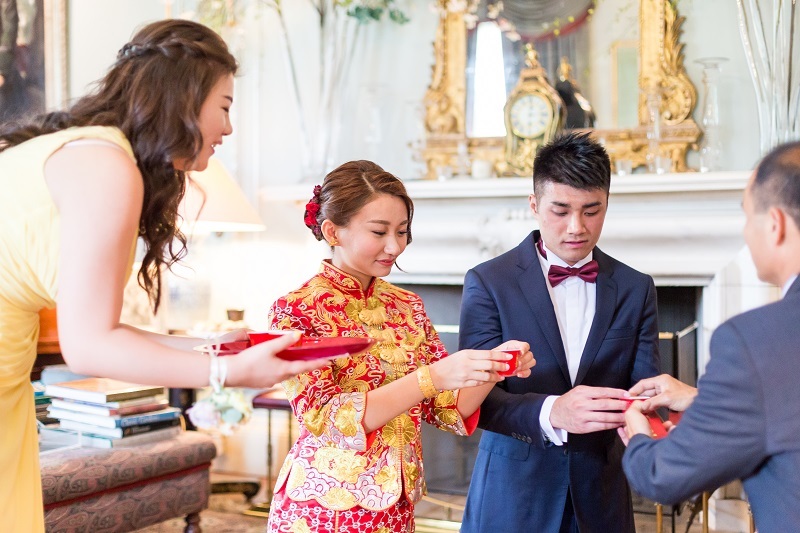 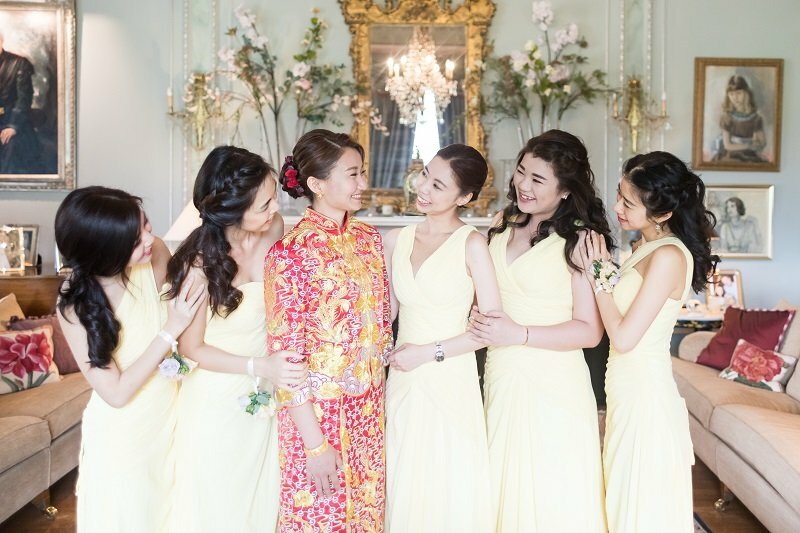 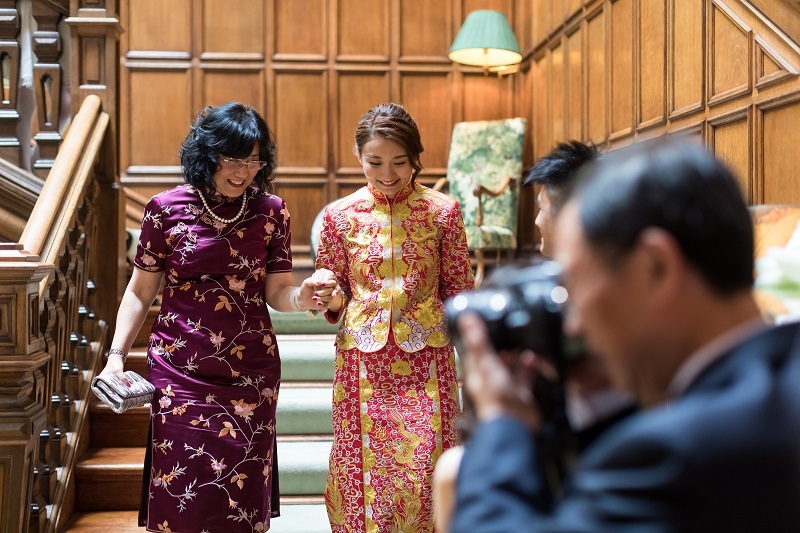 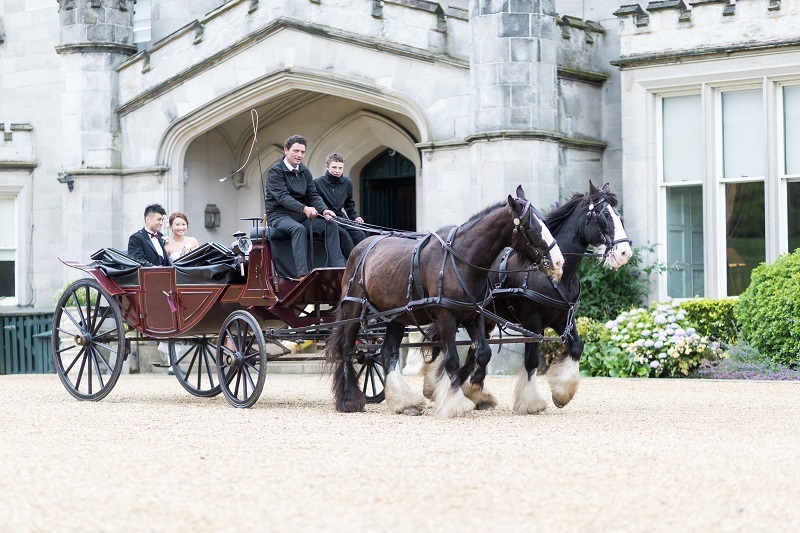 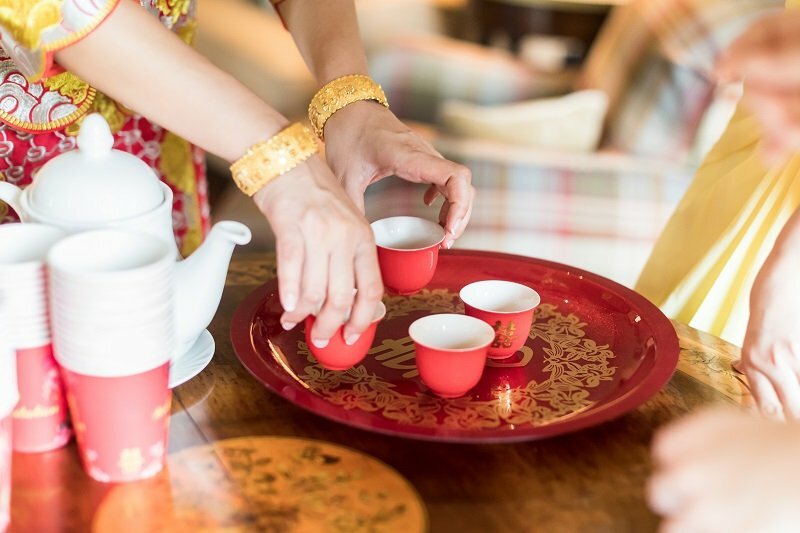 From the challenges Ching and his ushers had to complete pre-ceremony, to the lovely traditional tea ceremony and horse & carriage ride- it was just a fantastic day. 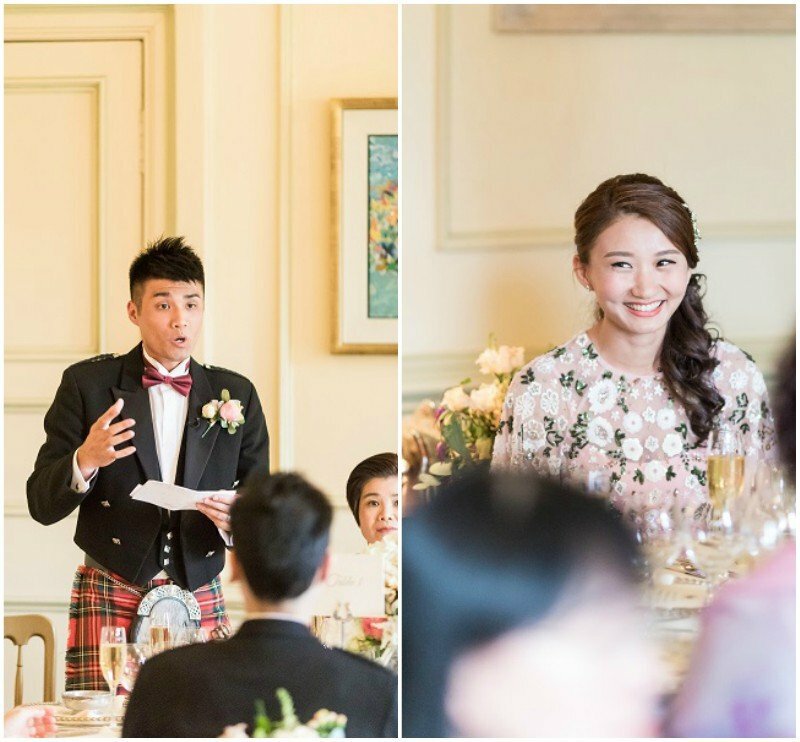 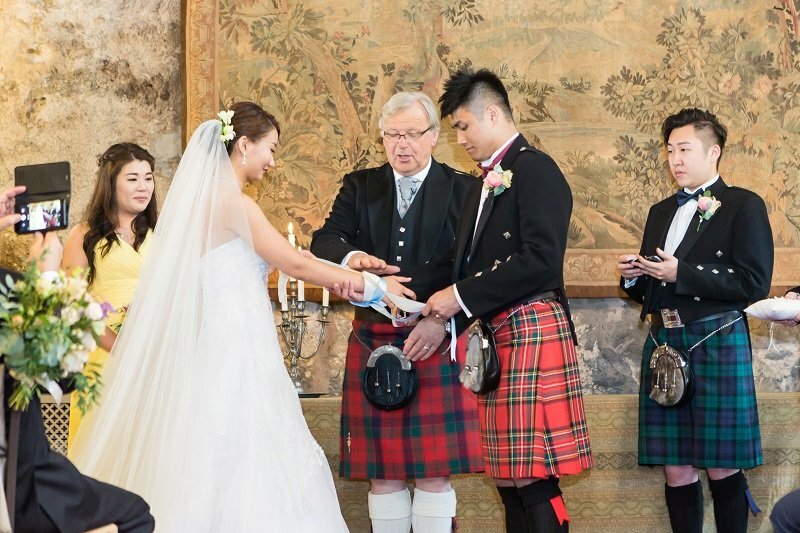 Jacey had not one but three stunning dresses during the day, and Ching embraced a traditional kilt as well as his suit. 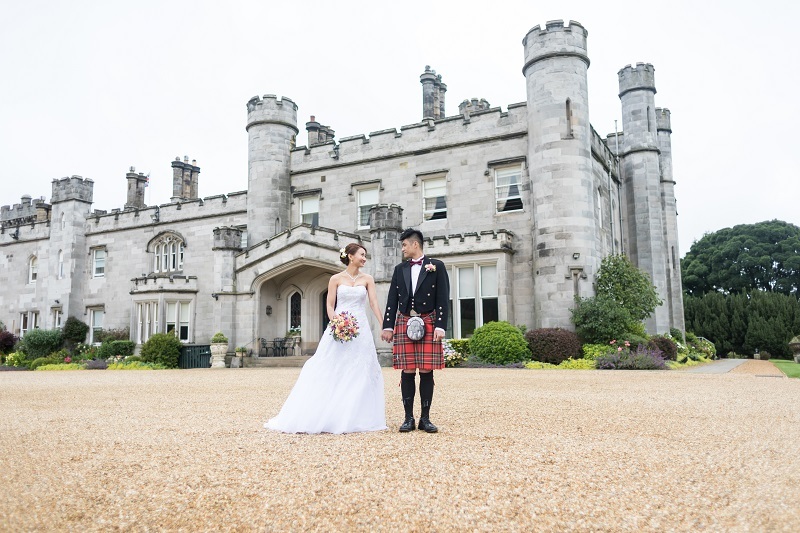 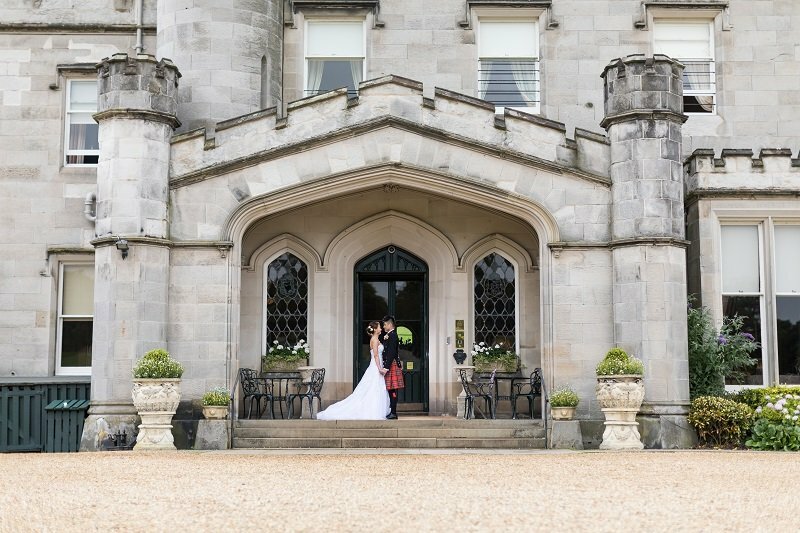 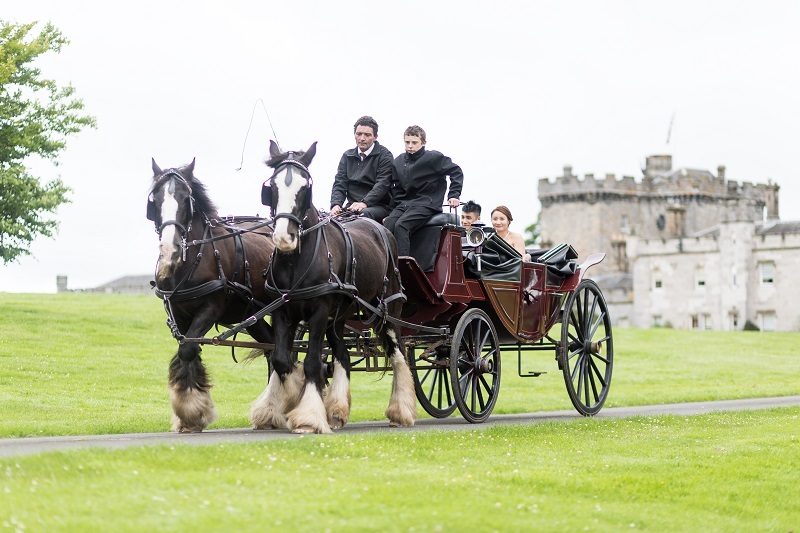 Their photos by Ryan White Photography show how much fun was had, and we are so delighted their Scottish Castle wedding dream came true!